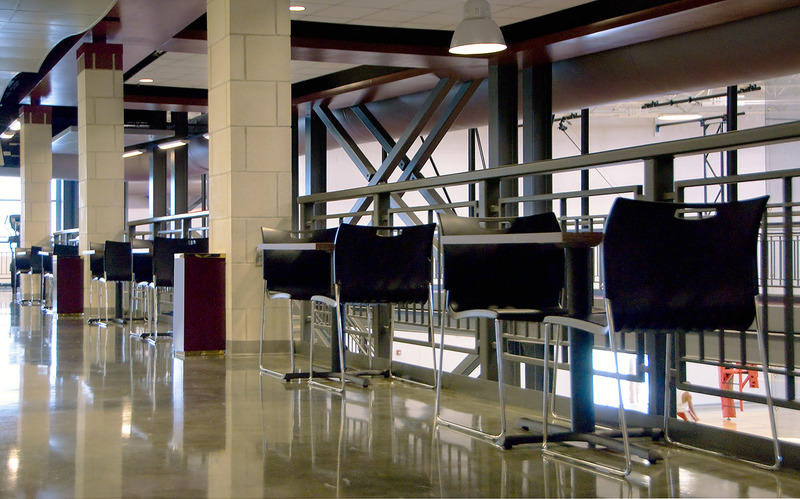 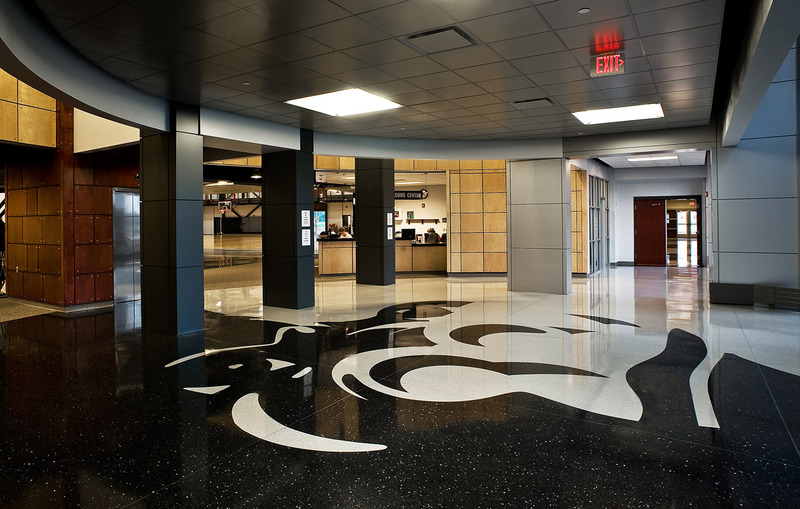 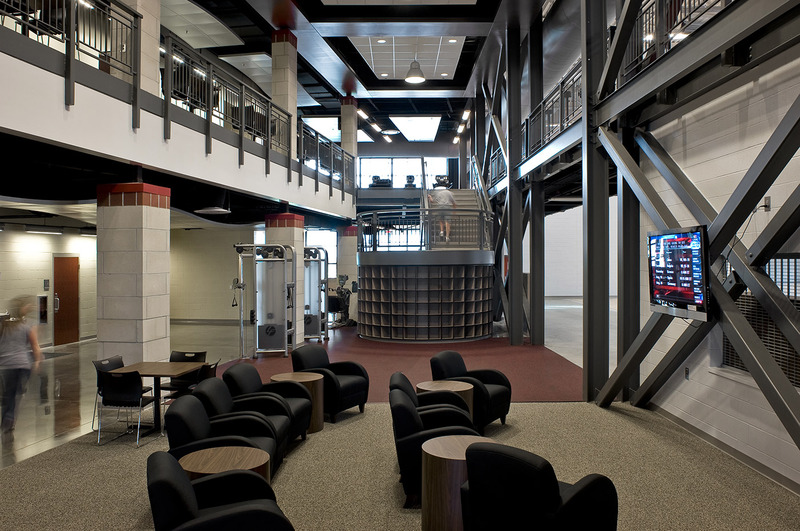 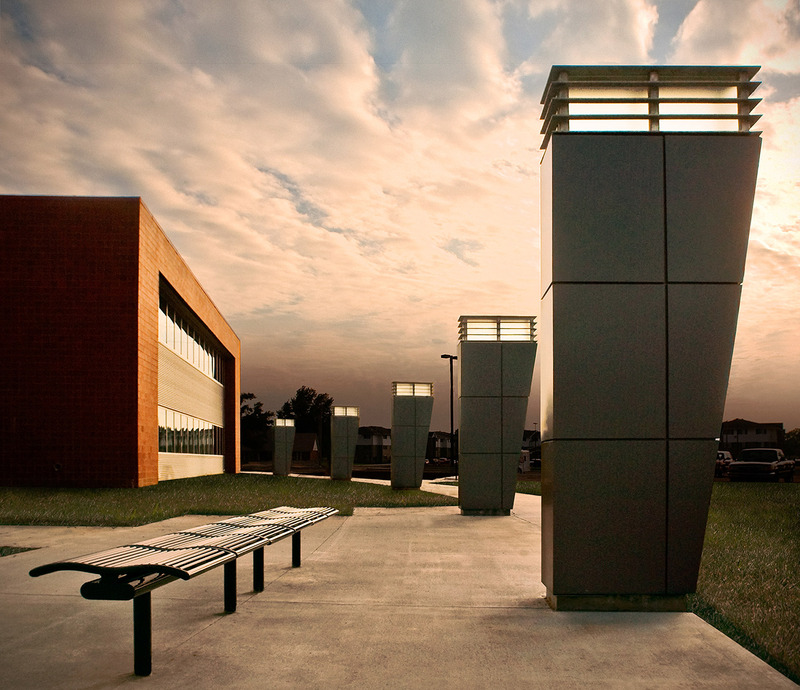 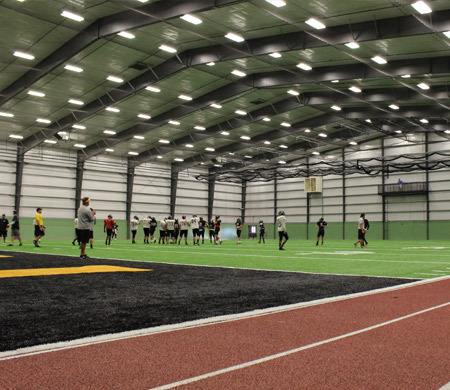 Designed as a joint use facility between the Kansas Army National Guard and Pittsburg State University, this new Recreation Center provides office space to accommodate a fully functional Army Readiness Center and most important to the University, a 23,000 SF Student Recreation and Fitness space. 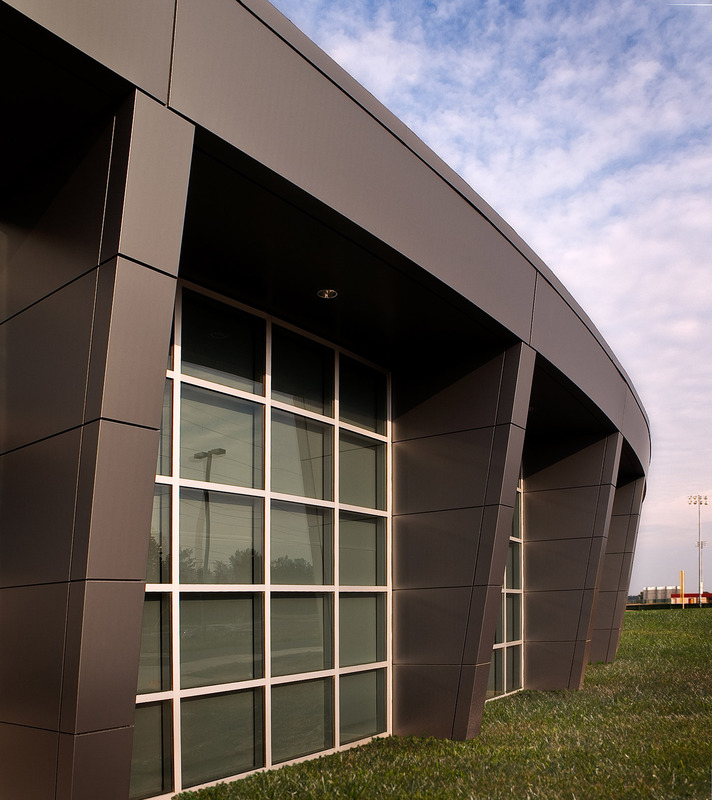 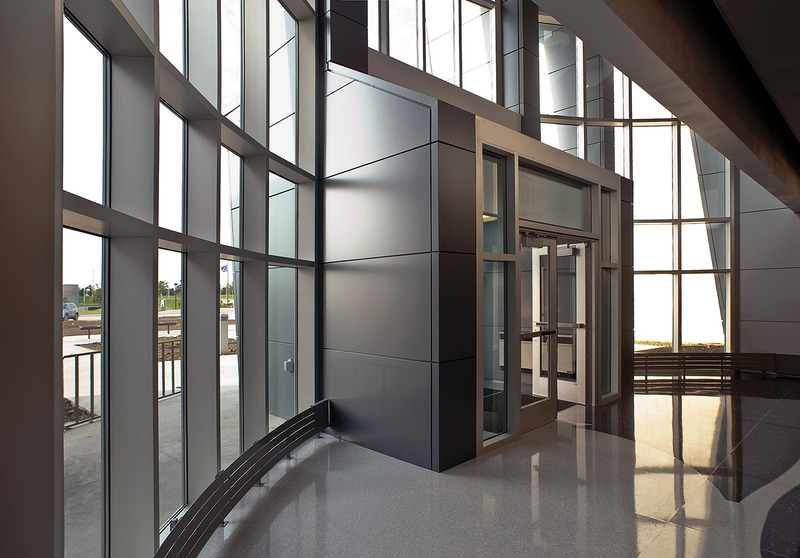 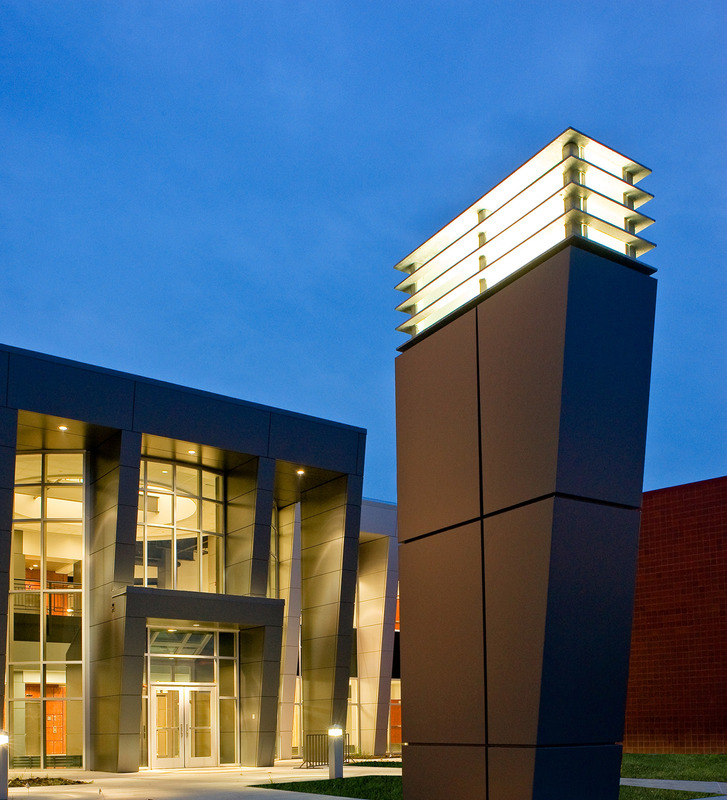 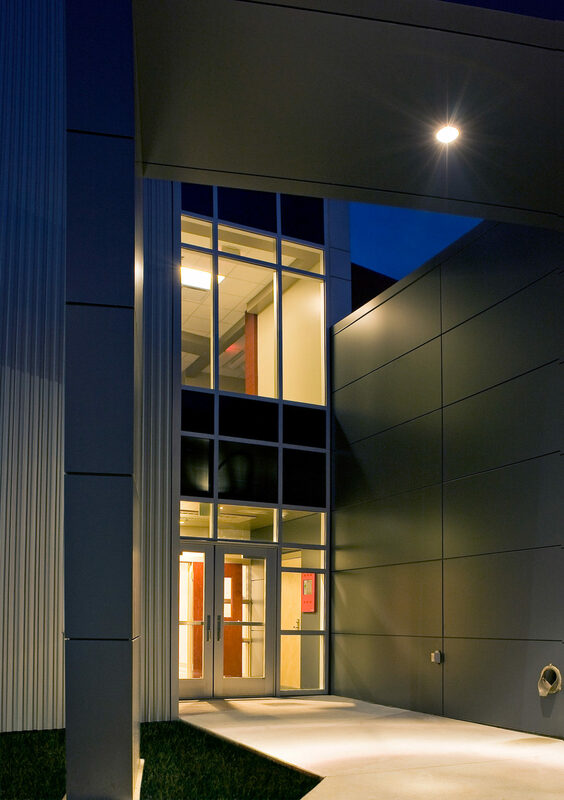 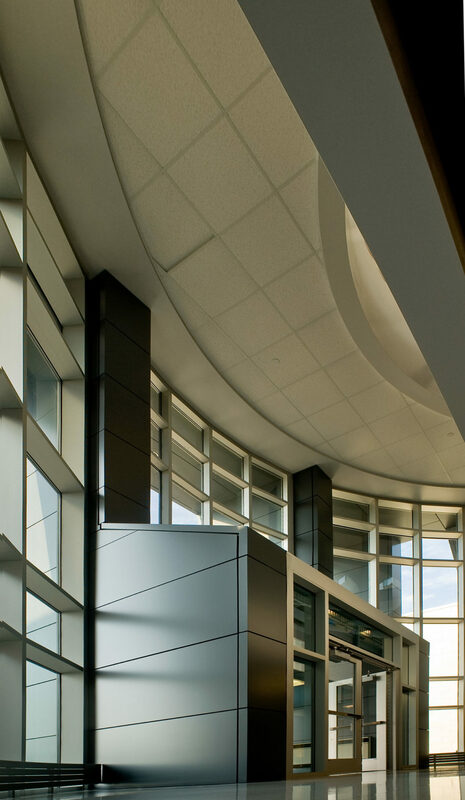 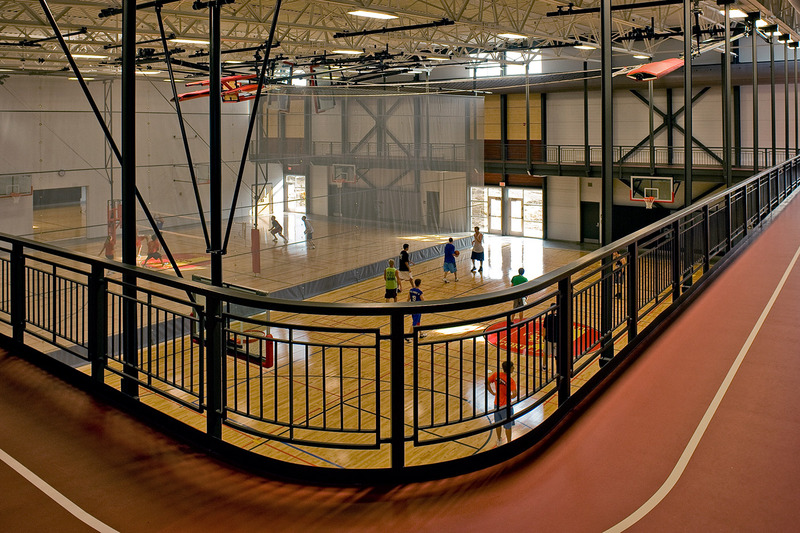 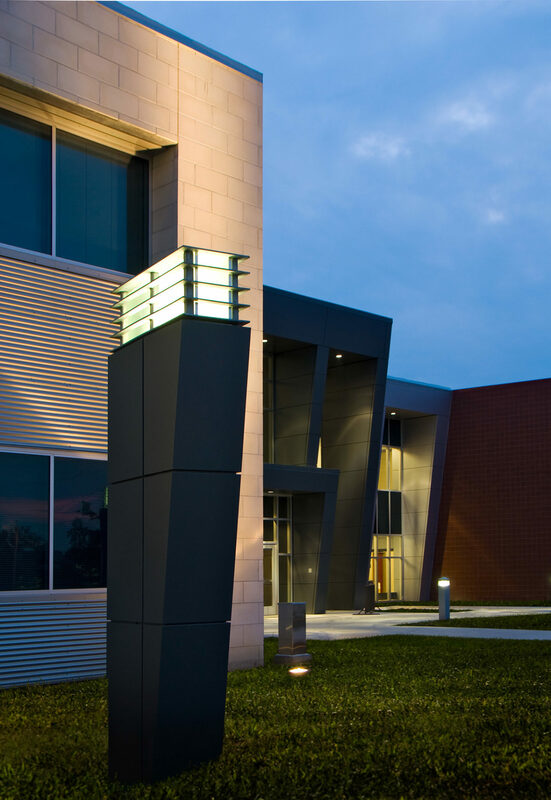 The Recreation Center is designed to be open and highly visible from the building entry. 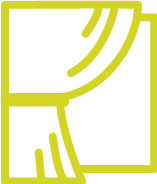 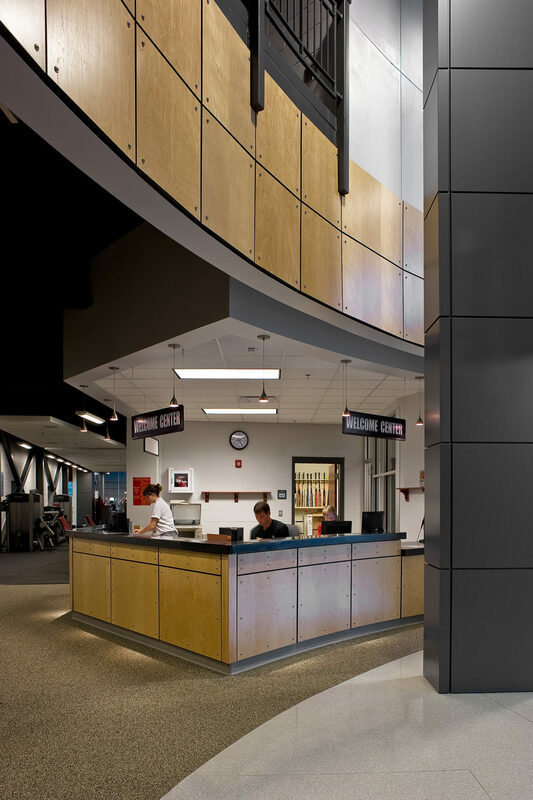 This allows the facility control desk to function as the primary entry to the Recreation Center and the facilities information center. 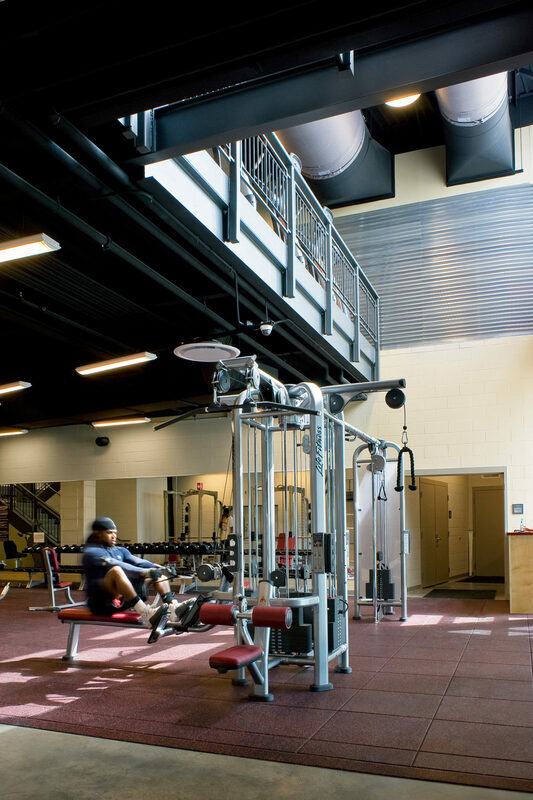 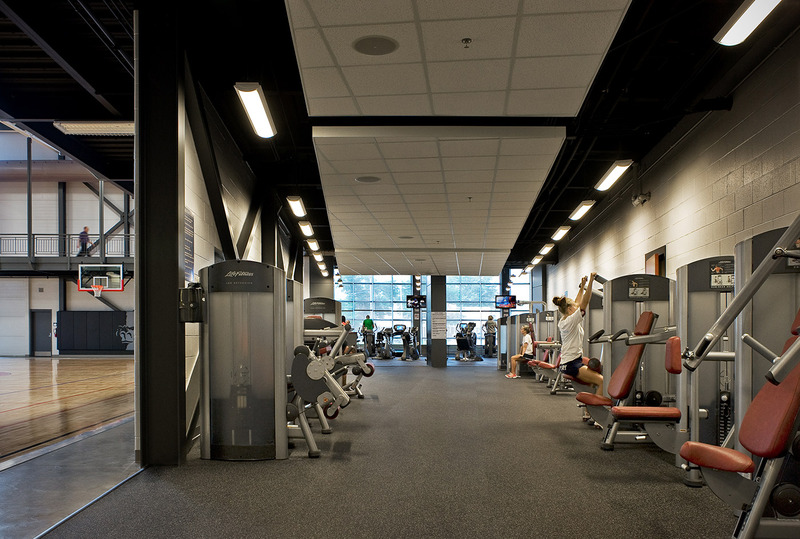 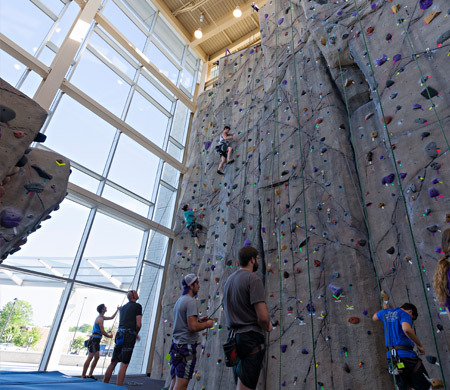 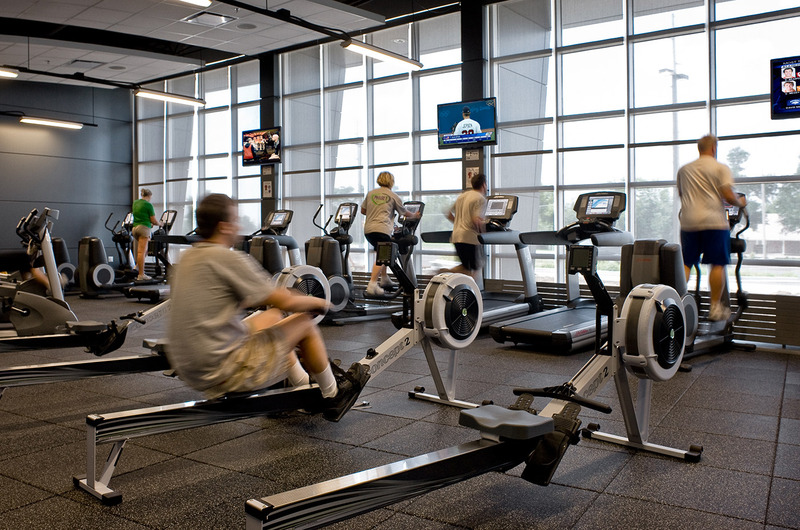 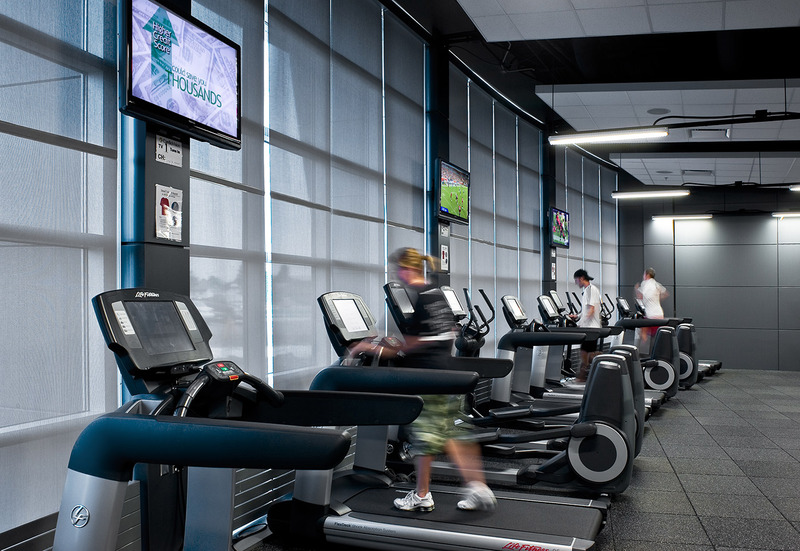 The main level of the Recreation Center offers locker rooms, student activity areas, gaming areas, as well as fitness spaces featuring the latest in technology and equipment, including cardiovascular equipment. 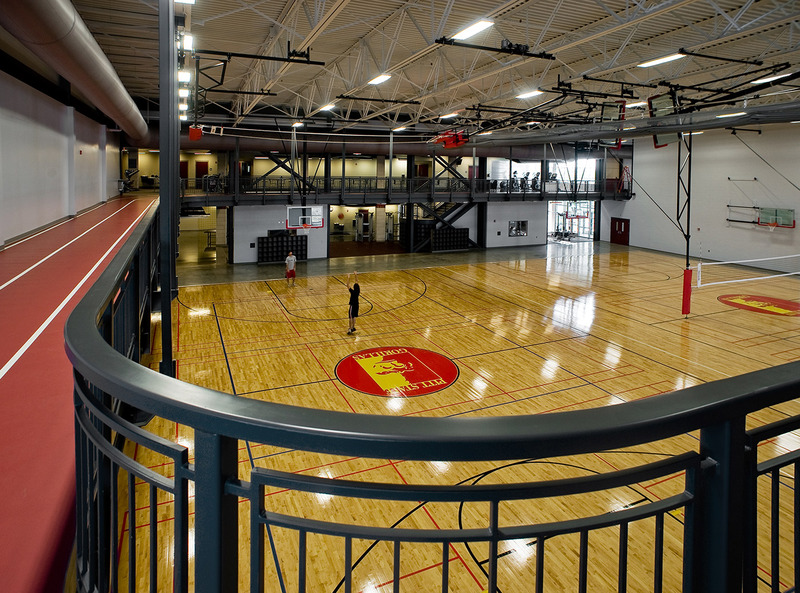 Additionally, the multi-court, multi-activity gymnasium features high performance wood floors sized to accommodate three basketball courts and three competition volleyball courts with ceiling suspended standards. 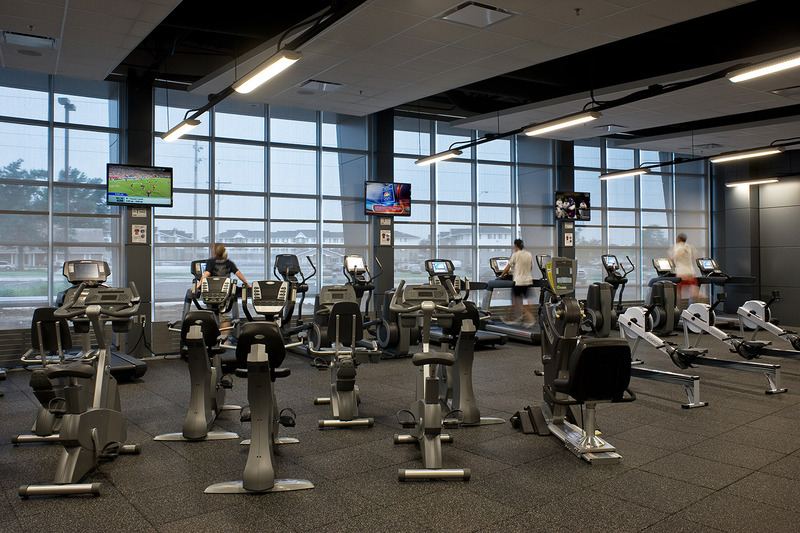 The upper level includes spaces specifically designed for aerobic and dance. 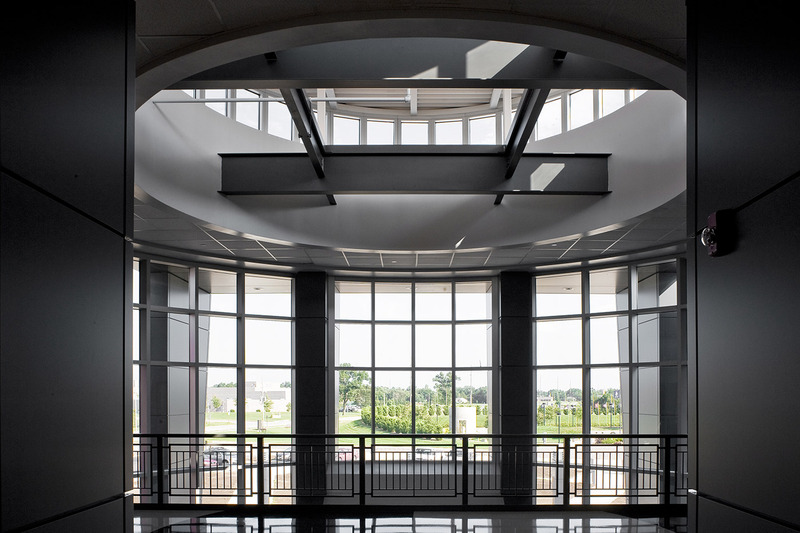 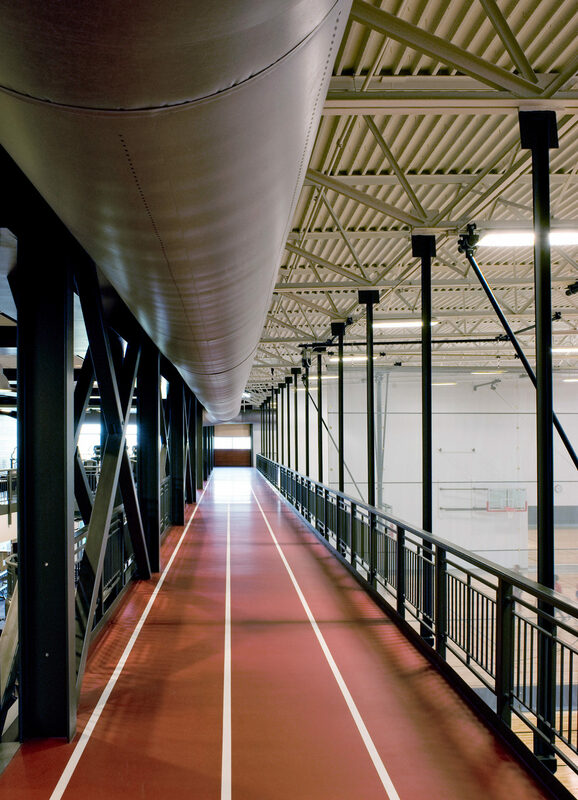 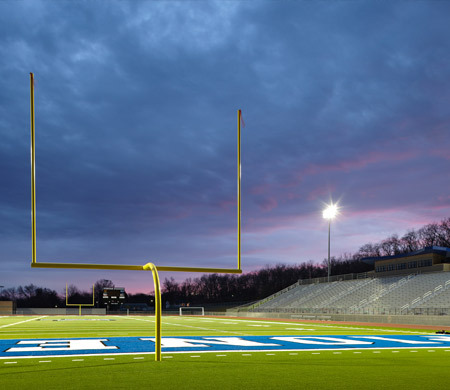 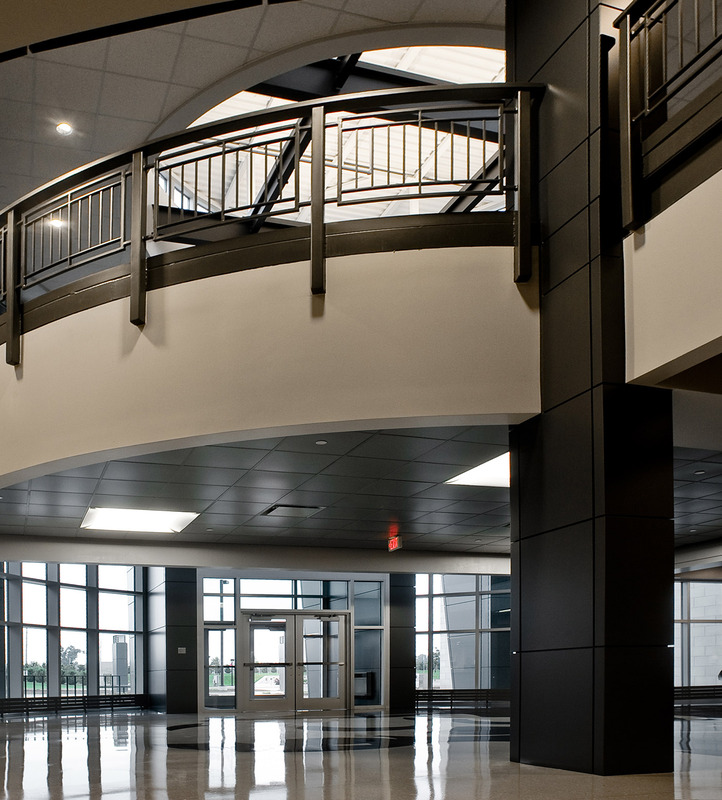 Furthermore, the upper level provides access to a 3-lane, 8-lap, 1 mile running / jogging track, elevated around the perimeter of the gymnasium. 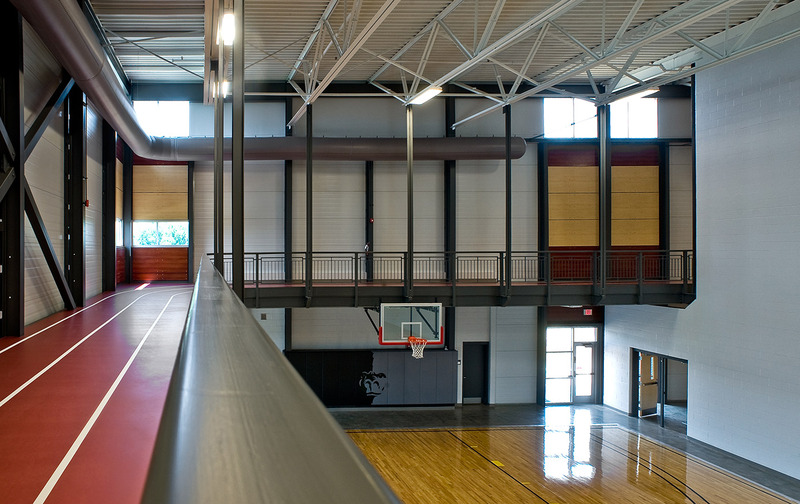 A fourth basketball court can be isolated and used for guard activities, dance, martial arts and community activities.